The 2015 edition of EBAN’s research reveals market growth in all early stage investment areas with particular highlight to angel investment activity which grew both in amounts invested as well as the number of active European Business Angel investors. Amongst the most relevant findings of the data collection, we emphasise the continuing trend of co-investment and remarkable growth of early-stage funds. 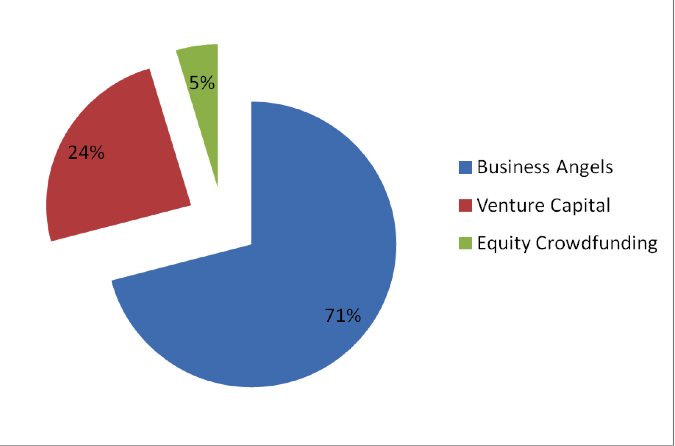 – ICT collects 22% of amount invested and 37% of number of deals followed by Manufacturing and Biotech and Life Sciences (13% and 11% respectively) in terms of amount invested and Mobile (13%) in terms of number of deals.